CARFAX One-Owner. Clean CARFAX. 108 Point Inspections. 4-Wheel Disc Brakes, 6 Speakers, ABS brakes, Air Conditioning, Alloy wheels, AM/FM radio, AM/FM Stereo w/Single CD Player, Auto-dimming Rear-View mirror, Brake assist, Bumpers: body-color, CD player, Compass, Delay-off headlights, Driver door bin, Driver vanity mirror, Dual front impact airbags, Dual front side impact airbags, Electronic Stability Control, Emergency communication system, Exterior Parking Camera Rear, Four wheel independent suspension, Front anti-roll bar, Front Bucket Seats, Front Center Armrest, Front reading lights, Fully automatic headlights, Illuminated entry, Knee airbag, Leather Shift Knob, Low tire pressure warning, Occupant sensing airbag, Outside temperature display, Overhead airbag, Overhead console, Panic alarm, Passenger door bin, Passenger vanity mirror, Power door mirrors, Power steering, Power windows, Radio data system, Rear anti-roll bar, Rear window defroster, Remote keyless entry, Security system, Speed control, Speed-sensing steering, Speed-Sensitive Wipers, Split folding rear seat, Steering wheel mounted audio controls, SYNC Communications & Entertainment System, Tachometer, Telescoping steering wheel, Tilt steering wheel, Traction control, Trip computer, Variably intermittent wipers, and Voltmeter. Recent Arrival! Clean CARFAX. 108 Point Inspections. 4 Speakers, 4-Wheel Disc Brakes, ABS brakes, Air Conditioning, AM/FM radio, Auto-dimming door mirrors, Automatic temperature control, Bumpers: body-color, CD player, Ceramic disc brakes, Driver door bin, Driver vanity mirror, Dual front impact airbags, Dual front side impact airbags, DVD-Audio, Electronic Stability Control, Four wheel independent suspension, Front anti-roll bar, Front Bucket Seats, Front dual zone A/C, Front reading lights, Headlight cleaning, Heated door mirrors, Illuminated entry, Lamborghini Infotainment System II, Leather Seat Trim, Low tire pressure warning, MP3 decoder, Outside temperature display, Passenger cancellable airbag, Passenger door bin, Passenger vanity mirror, Power door mirrors, Power driver seat, Power passenger seat, Power steering, Power windows, Radio data system, Rear anti-roll bar, Remote keyless entry, Security system, Sport steering wheel, Tachometer, Telescoping steering wheel, Tilt steering wheel, Traction control, Trip computer, Unicolor Smooth Leather Sport Seats, Variably intermittent wipers, Voltmeter, and Wheels: 20" x 8.5" Front & 20" x 11" Rear Giano Silver Alloy. HIGHLIGHTS: !! !ONE OWNER!! !, !! !CLEAN CARFAX!! !, ALLOY WHEELS, EXTRA CLEAN!! 2 Speakers, 3.21 Axle Ratio, 4-Wheel Disc Brakes, ABS brakes, Air Conditioning, AM/FM radio, Bodyside moldings, Brake assist, Driver door bin, Dual front impact airbags, Dual front side impact airbags, Electronic Stability Control, Front anti-roll bar, Front Bucket Seats, Front Center Armrest w/Storage, Front wheel independent suspension, Illuminated entry, Low tire pressure warning, Occupant sensing airbag, Outside temperature display, Overhead airbag, Overhead console, Passenger door bin, Power steering, Power windows, Radio: AM/FM Stereo Receiver w/2 Speakers, Rear anti-roll bar, Remote keyless entry, Tachometer, Telescoping steering wheel, Tilt steering wheel, Traction control, Variably intermittent wipers, Vinyl Front Bucket Seats, and Wheels: 16" Steel w/XL Full Wheel Covers. 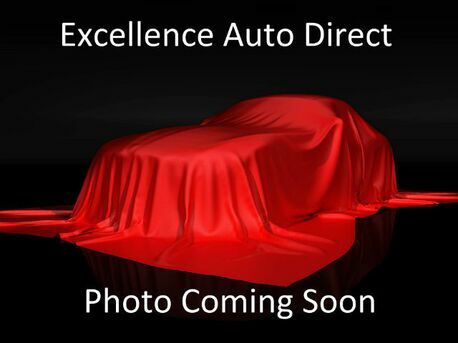 Excellence Auto Direct is a family owned dealership serving Euless. We quickly established ourselves as a respectable, honest dealership that offers 5-star service each and every day. Whether it's your first time buying a luxury vehicle, or you're looking to upgrade to a more recent luxury model, we are here to serve you. Whether you are from Euless, Plano, Carrollton, Farmer's Ranch, or just driving through the area, stop in and see us! We look forward to doing business with you! HIGHLIGHTS: !! !CLEAN CARFAX!! !, PREMIUM 2 PACKAGE, SPORT APPEARANCE PACKAGE, CONVERTIBLE, NAVIGATION, SUNROOF, PADDLE SHIFT, PUSH START, HURMAN/KARDON SOUNDS, CRUISE CONTROL, ALLOY WHEELS, EXTRA CLEAN!! 18" 5-Spoke Wheels, Navigation System, Speed control. 18" 5-Spoke Wheels, Navigation System, Speed control, 11 Speakers, 4-Wheel Disc Brakes, ABS brakes, Air Conditioning, Aluminum Trim, AM/FM radio: SiriusXM, Anti-whiplash front head restraints, Auto tilt-away steering wheel, Auto-dimming door mirrors, Auto-dimming Rear-View mirror, Brake assist, Bumpers: body-color, CD player, Child-Seat-Sensing Airbag, Compass, Convertible HardTop, Convertible roof lining, Convertible roof wind blocker, Delay-off headlights, Driver door bin, Driver vanity mirror, Dual front impact airbags, Dual front side impact airbags, Electronic Stability Control, Emergency communication system: mbrace, Four wheel independent suspension, Front anti-roll bar, Front Bucket Seats, Front Center Armrest, Front reading lights, Fully automatic headlights, Garage door transmitter: Homelink, Glass rear window, harman/kardon® Logic 7® Surround Sound System, harman/kardon® Speakers, Heated 8-way Power Sport Seats w/Memory, Heated door mirrors, Heated front seats, Illuminated entry, Integrated roll-over protection, Knee airbag, Leather Shift Knob, Leather steering wheel, Leather Upholstery, Low tire pressure warning, Memory seat, Occupant sensing airbag, Outside temperature display, Overhead airbag, Overhead console, Panic alarm, Passenger door bin, Passenger vanity mirror, Power convertible roof, Power door mirrors, Power driver seat, Power passenger seat, Power steering, Power windows, Radio data system, Rain sensing wipers, Rear anti-roll bar, Rear fog lights, Rear window defroster, Remote keyless entry, Security system, Speed-sensing steering, Sport steering wheel, Steering wheel memory, Steering wheel mounted audio controls, Tachometer, Telescoping steering wheel, Tilt steering wheel, Traction control, Trip computer, Turn signal indicator mirrors, Variably intermittent wipers, and Weather band radio. HIGHLIGHTS: !! !ONE OWNER!! !, !! !CLEAN CARFAX!! !, APPEARANCE PACKAGE, POPULAR EQUIPMENT PACKAGE, PUSH START, BACKUP CAMERA, ENTERTAINMENT SYSTEM, CRUISE CONTROL, ALLOY WHEELS, EXTRA CLEAN!! 16" x 6.5J Steel w/Full Wheel Covers Wheels, Exterior Parking Camera Rear, Speed control. 16" x 6.5J Steel w/Full Wheel Covers Wheels, Exterior Parking Camera Rear, Speed control, 4-Wheel Disc Brakes, 6 Speakers, ABS brakes, Air Conditioning, AM/FM radio, Anti-whiplash front head restraints, Brake assist, Bumpers: body-color, Cloth Seat Trim, Driver door bin, Driver vanity mirror, Dual front impact airbags, Dual front side impact airbags, Electronic Stability Control, Emergency communication system, Four wheel independent suspension, Front anti-roll bar, Front Bucket Seats, Front Center Armrest, Front reading lights, Illuminated entry, Low tire pressure warning, Occupant sensing airbag, Outside temperature display, Overhead airbag, Panic alarm, Passenger door bin, Passenger vanity mirror, Power door mirrors, Power steering, Power windows, Radio data system, Radio: AM/FM/HD Audio System, Rear anti-roll bar, Rear window defroster, Reclining Front Bucket Seats, Remote keyless entry, Speed-sensing steering, Split folding rear seat, Steering wheel mounted audio controls, Tachometer, Telescoping steering wheel, Tilt steering wheel, Traction control, Trip computer, and Variably intermittent wipers. Recent Arrival! CARFAX One-Owner. 108 Point Inspections. Quick Order Package 22F, 4-Wheel Disc Brakes, 6 Speakers, 8.4" Touchscreen Display, ABS brakes, Air Conditioning, AM/FM radio: SiriusXM, Anti-whiplash front head restraints, Automatic temperature control, Brake assist, Bumpers: body-color, Compass, Delay-off headlights, Driver door bin, Driver vanity mirror, Dual front impact airbags, Dual front side impact airbags, Electronic Stability Control, Four wheel independent suspension, Front anti-roll bar, Front Bucket Seats, Front Center Armrest, Front dual zone A/C, Front reading lights, Fully automatic headlights, GPS Antenna Input, Harman Radio Manufacturer, Heated door mirrors, Heated front seats, Illuminated entry, Integrated Voice Command w/Bluetooth, Knee airbag, Leather Shift Knob, Leather Trimmed Bucket Seats, Low tire pressure warning, Media Hub (SD, USB, AUX), Occupant sensing airbag, Outside temperature display, Overhead airbag, Overhead console, Panic alarm, Passenger door bin, Passenger vanity mirror, Power door mirrors, Power driver seat, Power passenger seat, Power steering, Power windows, Radio data system, Radio: Uconnect 8.4, Rear anti-roll bar, Rear reading lights, Rear seat center armrest, Rear window defroster, Remote keyless entry, Security system, SiriusXM Satellite Radio, Speed control, Speed-sensing steering, Speed-Sensitive Wipers, Split folding rear seat, Steering wheel mounted audio controls, Tachometer, Telescoping steering wheel, Tilt steering wheel, Traction control, Trip computer, Uconnect Access, Variably intermittent wipers, and Wheels: 17" x 7.0" Premium Painted Aluminum. CARFAX One-Owner. 108 Point Inspections. 12 Speakers, 4-Wheel Disc Brakes, ABS brakes, Air Conditioning, Alloy wheels, AM/FM radio: SiriusXM, Anti-whiplash front head restraints, Auto tilt-away steering wheel, Auto-dimming door mirrors, Auto-dimming Rear-View mirror, Automatic temperature control, Brake assist, Bumpers: body-color, CD player, Child-Seat-Sensing Airbag, Compass, Delay-off headlights, Driver door bin, Driver vanity mirror, Dual front impact airbags, Dual front side impact airbags, Electronic Stability Control, Emergency communication system: mbrace2, Four wheel independent suspension, Front anti-roll bar, Front Bucket Seats, Front Center Armrest, Front dual zone A/C, Front reading lights, Fully automatic headlights, Garage door transmitter: Homelink, Genuine wood console insert, Genuine wood dashboard insert, Genuine wood door panel insert, harman/kardon® Logic 7® Surround Sound System, harman/kardon® Speakers, Head restraints memory, Heated door mirrors, Heated Front Bucket Seats, Heated front seats, Illuminated entry, Knee airbag, Leather Shift Knob, Low tire pressure warning, MB-Tex Upholstery, Memory seat, Occupant sensing airbag, Outside temperature display, Overhead airbag, Overhead console, Panic alarm, Passenger door bin, Passenger vanity mirror, Power door mirrors, Power driver seat, Power moonroof: Panorama, Power passenger seat, Power steering, Power windows, Premium audio system: COMAND, Radio data system, Rain sensing wipers, Rear anti-roll bar, Rear fog lights, Rear window defroster, Remote keyless entry, Security system, SIRIUS Satellite Radio, Speed control, Speed-sensing steering, Split folding rear seat, Spoiler, Sport steering wheel, Steering wheel memory, Steering wheel mounted audio controls, Tachometer, Telescoping steering wheel, Tilt steering wheel, Traction control, Trip computer, Turn signal indicator mirrors, Variably intermittent wipers, and Weather band radio. HIGHLIGHTS: !! !CLEAN CARFAX!!!,!! !ONE OWNER!! !, ENHANCED SECURITY PACKAGE, OPTIONAL GT PERFORMANCE PACKAGE, GT PERFORMANCE PACKAGE, BLACK ACCENT PACKAGE, PREMIER TRIM W/COLOR ACCENT GROUP, EQUIPMENT GROUP 401A, CALIFORNIA SPECIAL, EQUIPMENT GROUP 400A, BACKUP CAMERA, GT, SPOILER, BLUETOOTH, USB, ALLOY WHEELS, CRUISE CONTROL, EXTRA CLEAN!! Exterior Parking Camera Rear, Speed control, Wheels: 18" x 8" Magnetic Painted/Machined. Exterior Parking Camera Rear, Speed control, Wheels: 18" x 8" Magnetic Painted/Machined, 4-Wheel Disc Brakes, 9 Speakers, ABS brakes, Air Conditioning, AM/FM radio: SiriusXM, AM/FM Stereo w/Single CD Player, Auto-dimming Rear-View mirror, Automatic temperature control, Block heater, Brake assist, Bumpers: body-color, CD player, Climate Controlled Heated/Cooled Front Seats, Compass, Delay-off headlights, Driver door bin, Driver vanity mirror, Dual front impact airbags, Dual front side impact airbags, Electronic Stability Control, Emergency communication system, Four wheel independent suspension, Front anti-roll bar, Front Bucket Seats, Front Center Armrest, Front dual zone A/C, Front fog lights, Front reading lights, Fully automatic headlights, Garage door transmitter, Heated door mirrors, Heated front seats, High-Intensity Discharge Headlights, Illuminated entry, Knee airbag, Leather Bucket Seats, Leather Shift Knob, Low tire pressure warning, Occupant sensing airbag, Outside temperature display, Overhead airbag, Overhead console, Panic alarm, Passenger door bin, Passenger vanity mirror, Power door mirrors, Power driver seat, Power passenger seat, Power steering, Power windows, Radio data system, Rear anti-roll bar, Rear window defroster, Remote keyless entry, Security system, SiriusXM Radio, Speed-sensing steering, Speed-Sensitive Wipers, Split folding rear seat, Steering wheel mounted audio controls, SYNC 3 Communications & Entertainment System, Tachometer, Telescoping steering wheel, Tilt steering wheel, Traction control, Trip computer, Turn signal indicator mirrors, Variably intermittent wipers, Ventilated front seats, and Voltmeter. HIGHLIGHTS: !! !ONE OWNER!! !, !! !CLEAN CARFAX!! !, BLACK EXTERIOR APPEARANCE PACKAGE, WINTER PROTECTION PACKAGE, CAMARO INSIGNIA PACKAGE, SS 1LE PERFORMANCE PACKAGE, 1LE TRACK PACK - V8 SUSPENSION HANDLING PACKAGE, PERFORMANCE ENTHUSIAST PACKAGE W/RED ACCENTS, CAMARO LOGO PACKAGE, REDLINE EDITION, PERFORMANCE HANDLING PACKAGE, PERFORMANCE ENTHUSIAST PACKAGE W/GRAY ACCENTS, WEATHER PROTECTION PACKAGE, ENTERTAINMENT SYSTEM, DRIVE MODE, BACKUP CAMERA, CRUISE CONTROL, ALLOY WHEELS, EXTRA CLEAN!! 2 USB Ports & Auxiliary Input Jack, 2.77 Rear Axle Ratio, 4-Wheel Disc Brakes, 6 Speakers, 6-Speaker Audio System Feature, 6-Way Power Front Passenger Seat Adjuster, 8-Way Power Driver Seat Adjuster, ABS brakes, Air Conditioning, AM/FM radio: SiriusXM, Automatic temperature control, Brake assist, Bumpers: body-color, Cloth Seat Trim, Compass, Delay-off headlights, Driver door bin, Driver vanity mirror, Dual front impact airbags, Dual front side impact airbags, Electronic Stability Control, Emergency communication system: OnStar Guidance, Exterior Parking Camera Rear, Four wheel independent suspension, Front anti-roll bar, Front Bucket Seats, Front Center Armrest, Front fog lights, Front License Plate Bracket, Front reading lights, Front Sport Bucket Seats, Fully automatic headlights, High-Intensity Discharge Headlights, Illuminated entry, Knee airbag, Leather Shift Knob, Low tire pressure warning, Occupant sensing airbag, Overhead airbag, Paddle-Shift Manual Controls, Panic alarm, Passenger door bin, Passenger vanity mirror, Power door mirrors, Power driver seat, Power passenger seat, Power steering, Power Sunroof, Power windows, Premium audio system: Chevrolet MyLink, Radio data system, Radio: Chevrolet MyLink Audio System, Rear anti-roll bar, Rear window defroster, Remote keyless entry, Remote Vehicle Starter System, Security system, SiriusXM Satellite Radio, Speed control, Speed-sensing steering, Spoiler, Steering wheel mounted audio controls, Tachometer, Telescoping steering wheel, Tilt steering wheel, Traction control, Trip computer, Variably intermittent wipers, and Voltmeter. Recent Arrival! CARFAX One-Owner. Clean CARFAX. 108 Point Inspections, designo Black Artificial Leather. Designo Black Artificial Leather, 3.90 Axle Ratio, 4-Wheel Disc Brakes, 8 Speakers, ABS brakes, Air Conditioning, Alloy wheels, AM/FM radio, Anti-whiplash front head restraints, Automatic temperature control, Brake assist, Bumpers: body-color, CD player, Compass, Delay-off headlights, Driver door bin, Driver vanity mirror, Dual front impact airbags, Dual front side impact airbags, DVD-Audio, Electronic Stability Control, Emergency communication system: mbrace2, Flex Fuel Capability, Four wheel independent suspension, Front anti-roll bar, Front Bucket Seats, Front Center Armrest, Front dual zone A/C, Front fog lights, Front reading lights, Fully automatic headlights, Garage door transmitter: Homelink, Genuine wood console insert, Genuine wood dashboard insert, Heated door mirrors, Heated Front Bucket Seats, Heated front seats, Illuminated entry, Knee airbag, Leather steering wheel, Low tire pressure warning, MB-Tex Leatherette Seat Trim, Occupant sensing airbag, Outside temperature display, Overhead airbag, Panic alarm, Passenger door bin, Passenger vanity mirror, Power door mirrors, Power driver seat, Power Liftgate, Power moonroof, Power passenger seat, Power steering, Power windows, Radio data system, Radio: COMAND AM/FM/DVD/CD, Rain sensing wipers, Rear anti-roll bar, Rear fog lights, Rear reading lights, Rear seat center armrest, Rear window defroster, Rear window wiper, Remote keyless entry, Roof rack: rails only, Security system, Speed control, Speed-Sensitive Wipers, Split folding rear seat, Spoiler, Steering wheel mounted audio controls, Tachometer, Tilt steering wheel, Traction control, Trip computer, Turn signal indicator mirrors, and Weather band radio. CARFAX One-Owner. Clean CARFAX. 108 Point Inspections. Premium Equipment Package (Auto-Dimming Interior Mirror w/HomeLink, Heated Steering Wheel, High Beam Control, Lane Keep Assist, Mazda Navigation System, Mazda Radar Cruise Control, Pivoting Adaptive Front-Lighting System, Smart Brake Support, and Traffic Sign Recognition), 4-Wheel Disc Brakes, 9 Speakers, ABS brakes, Air Conditioning, AM/FM radio: SiriusXM, Anti-whiplash front head restraints, Automatic temperature control, Blind spot sensor: Blind Spot Monitoring warning, Bose 9 Speaker Surround Sound Audio System, Brake assist, Bumpers: body-color, Driver door bin, Driver vanity mirror, Dual front impact airbags, Dual front side impact airbags, Electronic Stability Control, Emergency communication system: MAZDA CONNECT, Exterior Parking Camera Rear, Four wheel independent suspension, Front anti-roll bar, Front Bucket Seats, Front Center Armrest, Front dual zone A/C, Front fog lights, Front reading lights, Fully automatic headlights, Heated door mirrors, Heated front seats, Illuminated entry, Leather Shift Knob, Low tire pressure warning, Machine Gray Metallic Paint Charge, Occupant sensing airbag, Outside temperature display, Overhead airbag, Overhead console, Panic alarm, Passenger door bin, Passenger vanity mirror, Perforated Leather Seat Trim, Power door mirrors, Power driver seat, Power moonroof, Power steering, Power windows, Radio data system, Radio: AM/FM/HD Audio System, Rain sensing wipers, Rear anti-roll bar, Rear seat center armrest, Rear window defroster, Rear window wiper, Remote keyless entry, Speed control, Speed-sensing steering, Split folding rear seat, Spoiler, Steering wheel mounted audio controls, Tachometer, Telescoping steering wheel, Tilt steering wheel, Traction control, Trip computer, Turn signal indicator mirrors, Variable Heated Reclining Front Bucket Seats, Variably intermittent wipers, and Wheels: 18" x 7.0J" Dark Silver Finish Alloy. HIGHLIGHTS: !! !ONE OWNER!! !, !! !CLEAN CARFAX!! !, TOURING TECHNOLOGY PACKAGE, BACKUP CAMERA, PUSH START, ENTERTAINMENT SYSTEM, SPORT MODE, USB, AUX, SD,CRUISE CONTROL, ALLOY WHEELS, EXTRA CLEAN!! Recent Arrival! CARFAX One-Owner. 108 Point Inspections. 19" Alloy Wheels, 4-Wheel Disc Brakes, 6 Speakers, ABS brakes, Air Conditioning, AM/FM radio, Anti-whiplash front head restraints, Automatic temperature control, Blind spot sensor: warning, Brake assist, Bumpers: body-color, CD player, Delay-off headlights, Driver door bin, Driver vanity mirror, Dual front impact airbags, Dual front side impact airbags, Electronic Stability Control, Exterior Parking Camera Rear, Four wheel independent suspension, Front anti-roll bar, Front Bucket Seats, Front Center Armrest, Front dual zone A/C, Front reading lights, Illuminated entry, Leather Shift Knob, Leatherette Seat Trim, Low tire pressure warning, MP3 decoder, Occupant sensing airbag, Outside temperature display, Overhead airbag, Overhead console, Panic alarm, Passenger door bin, Passenger vanity mirror, Power door mirrors, Power driver seat, Power steering, Power windows, Radio data system, Radio: AM/FM/CD/MP3/AUX 6-Speaker Audio & HD Radio, Rear anti-roll bar, Rear reading lights, Rear seat center armrest, Rear window defroster, Reclining Front Sport Bucket Seats, Remote keyless entry, Speed control, Speed-sensing steering, Split folding rear seat, Steering wheel mounted audio controls, Tachometer, Telescoping steering wheel, Tilt steering wheel, Traction control, Trip computer, Turn signal indicator mirrors, and Variably intermittent wipers. HIGHLIGHTS: !! !ONE OWNER!! !, !! !CLEAN CARFAX!! !, ECOBOOST PERFORMANCE PACKAGE, ENHANCED SECURITY PACKAGE, PREMIER TRIM W/COLOR ACCENT GROUP, PONY PACKAGE, EQUIPMENT GROUP 201A, WHEEL & STRIPE PACKAGE, EQUIPMENT GROUP 200A, MANUAL, PUSH START, USB, AUX, BACKUP CAMERA, CRUISE CONTROL, ALLOY WHEELS, EXTRA CLEAN!! 4-Wheel Disc Brakes, 9 Speakers, ABS brakes, Air Conditioning, AM/FM radio: SiriusXM, AM/FM Stereo w/Single CD Player, Auto-dimming Rear-View mirror, Automatic temperature control, Brake assist, Bumpers: body-color, CD player, Climate Controlled Heated/Cooled Front Seats, Compass, Delay-off headlights, Driver door bin, Driver vanity mirror, Dual front impact airbags, Dual front side impact airbags, Electronic Stability Control, Emergency communication system, Exterior Parking Camera Rear, Four wheel independent suspension, Front anti-roll bar, Front Bucket Seats, Front Center Armrest, Front dual zone A/C, Front fog lights, Front reading lights, Fully automatic headlights, Garage door transmitter, Heated door mirrors, Heated front seats, High-Intensity Discharge Headlights, Illuminated entry, Knee airbag, Leather Bucket Seats, Leather Shift Knob, Low tire pressure warning, Occupant sensing airbag, Outside temperature display, Overhead airbag, Overhead console, Panic alarm, Passenger door bin, Passenger vanity mirror, Power door mirrors, Power driver seat, Power passenger seat, Power steering, Power windows, Radio data system, Rear anti-roll bar, Rear window defroster, Remote keyless entry, Security system, SiriusXM Radio, Speed control, Speed-sensing steering, Speed-Sensitive Wipers, Split folding rear seat, Spoiler, Steering wheel mounted audio controls, SYNC 3 Communications & Entertainment System, Tachometer, Telescoping steering wheel, Tilt steering wheel, Traction control, Trip computer, Turn signal indicator mirrors, Variably intermittent wipers, Ventilated front seats, Voltmeter, and Wheels: 18" x 8" Magnetic Painted/Machined. Clean CARFAX. 108 Point Inspections. 12 Speakers, 3.916 Axle Ratio, 4-Wheel Disc Brakes, ABS brakes, Air Conditioning, AM/FM radio: SiriusXM, Auto tilt-away steering wheel, Auto-dimming door mirrors, Auto-dimming Rear-View mirror, Automatic temperature control, Blind spot sensor: warning, Block heater, Brake assist, Bumpers: chrome, CD player, Compass, Delay-off headlights, Driver door bin, Driver vanity mirror, Dual front impact airbags, Dual front side impact airbags, Electronic Stability Control, Emergency communication system, Front anti-roll bar, Front Bucket Seats, Front Center Armrest, Front dual zone A/C, Front fog lights, Front reading lights, Front wheel independent suspension, Garage door transmitter: HomeLink, Heated Captain's Chairs, Heated door mirrors, Heated front seats, Illuminated entry, Leather Seat Trim, Leather steering wheel, Low tire pressure warning, Memory seat, Navigation System, Occupant sensing airbag, Outside temperature display, Overhead airbag, Overhead console, Panic alarm, Passenger door bin, Passenger vanity mirror, Power door mirrors, Power driver seat, Power passenger seat, Power steering, Power windows, Radio data system, Radio: NissanConnect w/Navigation & Mobile Apps, Rain sensing wipers, Rear anti-roll bar, Rear seat center armrest, Rear step bumper, Rear window defroster, Remote keyless entry, Rockford Fosgate Premium 12 Speaker Audio System, Security system, Speed control, Speed-sensing steering, Speed-Sensitive Wipers, Split folding rear seat, Steering wheel memory, Steering wheel mounted audio controls, Tachometer, Telescoping steering wheel, Tilt steering wheel, Traction control, Turn signal indicator mirrors, Variably intermittent wipers, Voltmeter, and Wheels: 20" x 7.5" Painted Alloy.